"Enjoy the Ride" with this unique one (1) piece Rear Valance Graphic panel specially made for the New Beetle (does not fit the Turbo-S model). The graphic fits perfectly between the rear lights and looks great! 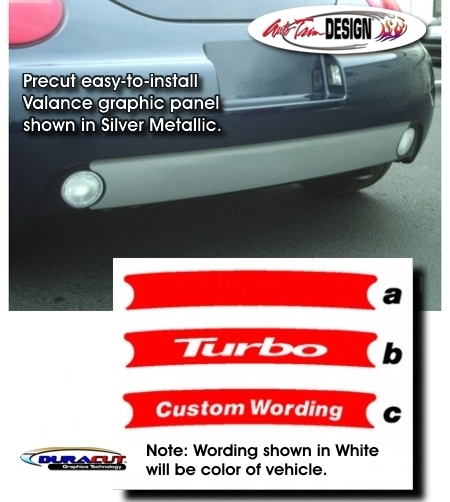 Available in a wide variety of colors, the graphic is easy-to-install - NO TRIMMING required! Simply choose from the variety we have available or better yet - design your own with Custom Wording! Easy to follow general online application and care instructions are included.